You’re a stylish sort; it is obvious. You’ve got the perfect style, dapper attitude, and the right regalia to fit in perfectly among any upper society world. Whether it is the Roaring 20s, a Charlie Chaplin Look-a-Like contest, or even a virtually mystical Victorian Steampunk realm that you put your feet up at, you’re a virtual kind of your domain. Yet, still, there is always a way to improve even what the masses would call perfection. You might have been seeking out the perfect accessory to top off your look and found that the answer is just on the tip of your brain, but somehow have been unable to see what seems to be going over your head. But, a-ha! 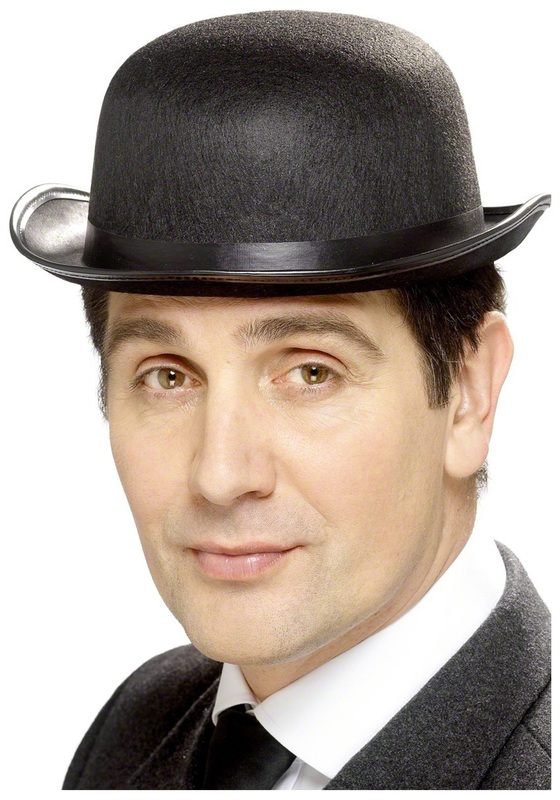 Those very clues are exactly what will lead you to this perfect complement to your look: this Bowler Hat. In classic design, this one-size-fit-most hat has a finished leather-look to its brim and a clean black that will match any of your chosen apparel. Go with a white suit to join the flappers on the dance floor or a thin Chaplin mustache as you dive into the crazy cogs of the new working world. Add a few gears and or silver clock faces to transport yourself from the dreary real world to the kooky realm of clockwork airships, steam-powered androids, and high noon tea time.